Nuclear may not be a renewable source of energy but workers at Britain’s largest nuclear reprocessing and decommissioning site are leading the way when it comes to sustainable transport. 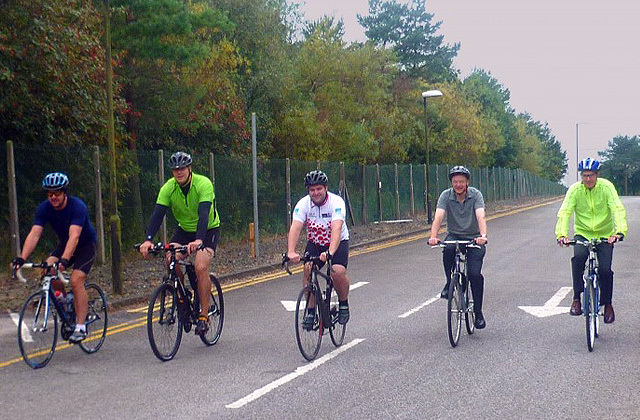 More than 700 of employees at Sellafield, in Cumbria, have taken advantage of the company’s Cycle to Work scheme. Riding a combined total of more than 100,000 miles each month, the company has been awarded the title of English Employer of the Year in the inaugural Cycle Awards by Cyclescheme. Workers have been maximising the benefits of the scheme which enables them to buy a bike through a finance agreement from local suppliers, and with the Lake District only a matter of miles away there has been no shortage in the number of people taking up the offer. “Employers are crucial in enabling and encouraging their staff the opportunity to get involved in cycling to work and they deserve recognition for their cycling advocacy,” Cyclescheme’s Kevin Chapman said.